Mary was married for 12 years and had 4 children. She and her children's father were in the contracting business. She always said that when the children were all in school that she would become a real estate agent and sell the houses they built. Even though they divorced just prior to the youngest one getting in school, she continued her plan. She became a realtor in 1987 and with being a single mother to 4 found herself having to work extra hard to make ends meet! She adopted 2 mottos back then and they have stuck with her through her 31 year career in real estate. They are: WHERE THERE'S A WILL THERE'S A WAY! WINNERS NEVER QUIT AND QUITTERS NEVER WIN! She has had many bumps in the road, but she has never quit and if a way can be found she WILL find it! Mary began her career with Coldwell Banker Sylvest Realty in Montgomery, the company that had just started a new development with Jim Wilson called Wynlakes. She was able to sell new construction and many existing homes at her beginning. 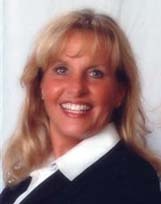 Over the years Mary has been involved in the local board and has earned her ABR (Accredited Buyer Representative) status and is a licensed Broker, working as an Associate Broker. Mary is active in the community. She works with abused ladies from the Sunshine Center, the homeless and less fortunate with a small group named The Forgotten, through her church, The Church of the Highlands. She dedicates time to help with different missions that help the needy and has worked with the local jail ministries. Her son in law is the campus pastor for the Montgomery Church of the Highlands! Since both of Mary's parents graduated from Auburn, she is a "die-hard" Auburn fan! She enjoys football Saturdays either at the games or watching them with Jerry, her husband since 2001. She also enjoys traveling to the "Smokey Mountains" and to the beach. She and Jerry enjoy their 12 grandchildren as much as possible. Being the oldest child of six, Mary was always very responsible for her siblings and then having four of her own children continued to be very responsible for them. She takes her career as a realtor as an endeared responsibility and treats every client with extra care! She is a family oriented realtor. Therefore in 2006, her daughters, Rebekah Singleton and Rachel Erwin, joined her as realtors. They were "buyers agents" for their mother, Mary. They developed "THE CORWIN TEAM" and enjoyed some successful years together in business. Her father passed away in 2005. She dearly misses him, but she, Jerry, her mother, and their big, big family continue to enjoy each other and the wonderful life that God has given them! Mary has always worked in and around the Tri-County area, including her hometown of Union Springs, and would love for you to allow her to give you her expertise and care as your realtor! She never gives up! Mary is the best at what she does. She is very professional and thorough. I wouldn't have wanted to go through the experience of selling a house with anyone else. No one compares to her. She has a winning personality and does whatever it takes to get the job done. She is excellent!!! !